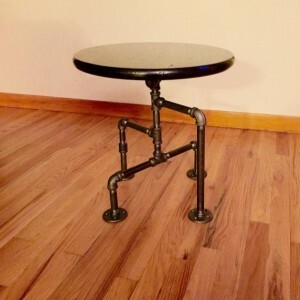 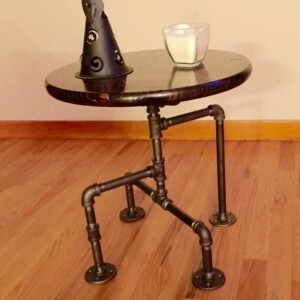 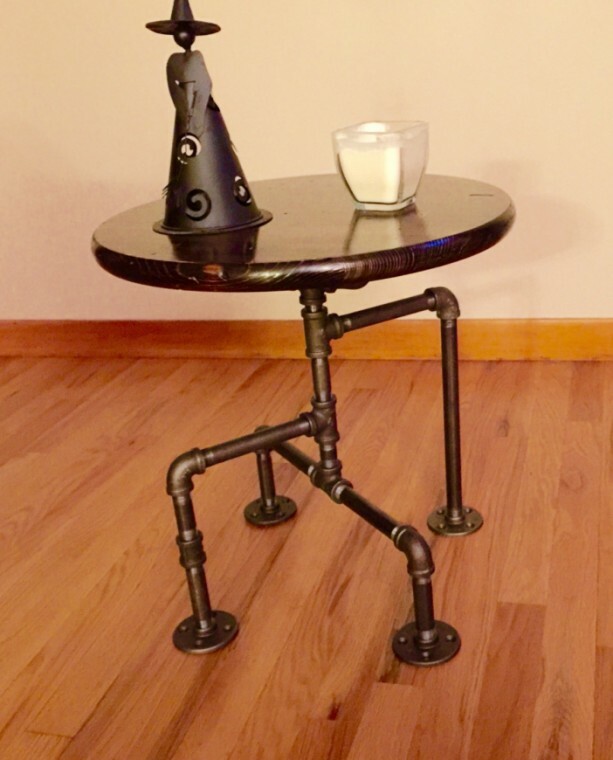 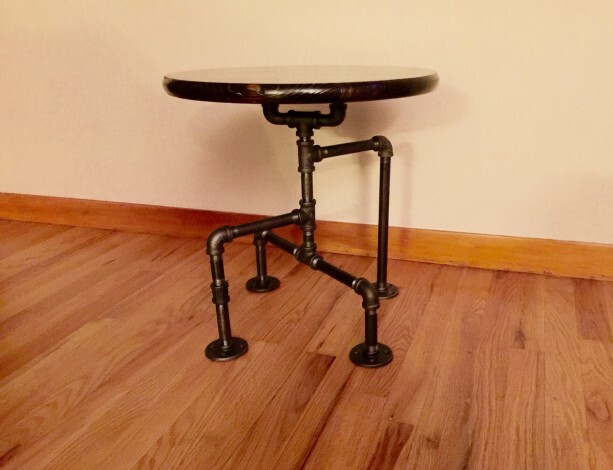 Industrial Black Pipe Table Measures 18" round and 18-1/2" tall. 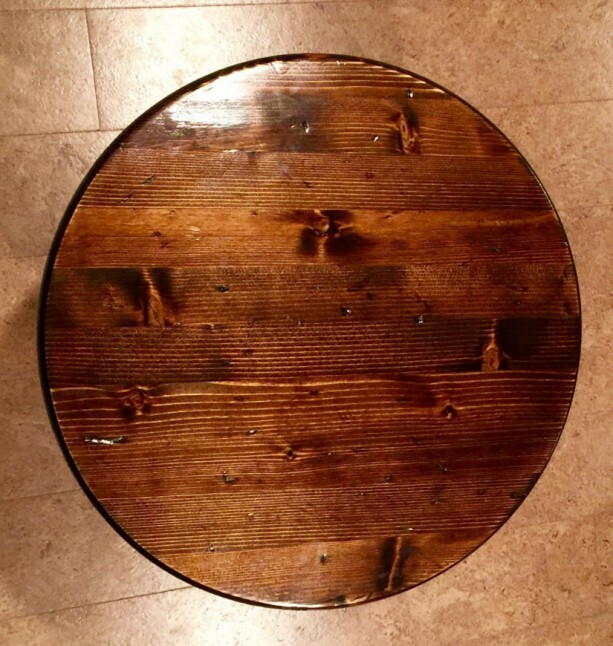 Table top is 1" thick and made with spruce wood and finished with an espresso dark stain and satin finish. 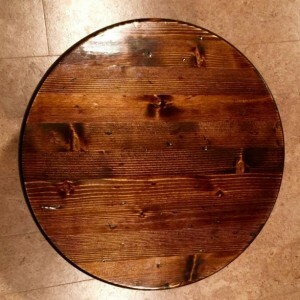 Top has an industrial look with imperfections and distressed features. 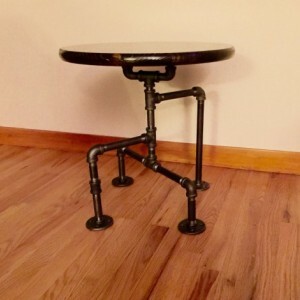 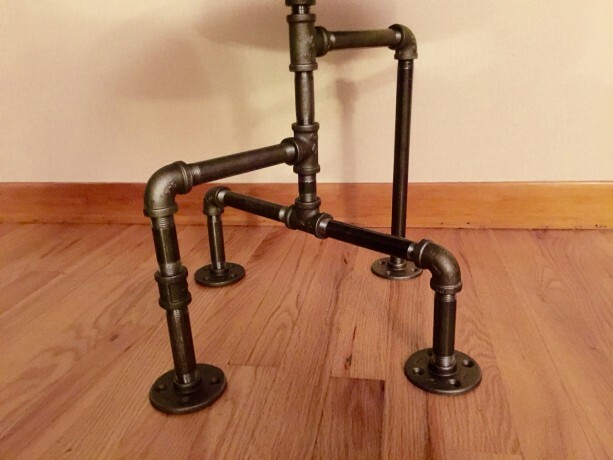 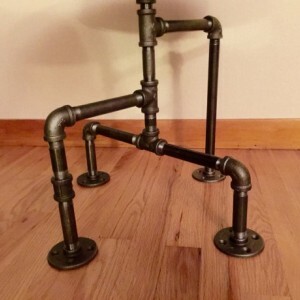 Black pipe frame is 1/2" diameter piping Some assembly required upon delivery.